"The Way of the Leaves"
The barrow. The hill upon the hill. A place that was old when the Normans came to England. A place of mystery and secrets and uneasy truce. Now, two children find themselves drawn to the ancient tor, caught in events beyond their understanding. And what they find in the darkness beneath will shatter the course of their lives forever. Even from the beginning of “The Way of the Leaves” it is clear that something is amiss. The narrator of David Tallerman’s story is at a loss and he misses Charlotte. Who is Charlotte and why the character longs for the past remains to be discovered in the following pages of the novella. The main character and Charlotte are two misfits, but perfectly comfortable with each other which makes the best of friends. Both like to read a lot and both enjoy exploring the surrounding area of their homes. It is true that the protagonist is less courageous than Charlotte, but he follows unconditionally the girl’s investigations. Until, his fears are put to a test when Charlotte needs to feed her curiosity by venturing into a newly discovered barrow. David Tallerman plays wonderfully the young boy’s unease, the reader can feel his constant scares, the frightening situations that most of the time are bred by his vivid imagination. Immediate dangers or potential consequences of his actions make from the young man a fainthearted character and one that chooses the path of cowardice at some point. But guilty conscience and fears collide in the end and the character is set into action when he is faced with the least desirable outcome. There are hints in “The Way of the Leaves” of a conflict between old and new religion and beliefs, of judging the appearances and putting a label without looking deeper on the matters. But the main subject is that of estrangement and disappearance, either down a narrow passage in a barrow or in a long and close relationship, of loss and longing, either for the loved one or for a forgotten connection and blood ties. Nothing jumps out of the shadows or lurks just around the corner in “The Way of the Leaves”, the only threats come from remorse and sorrow. 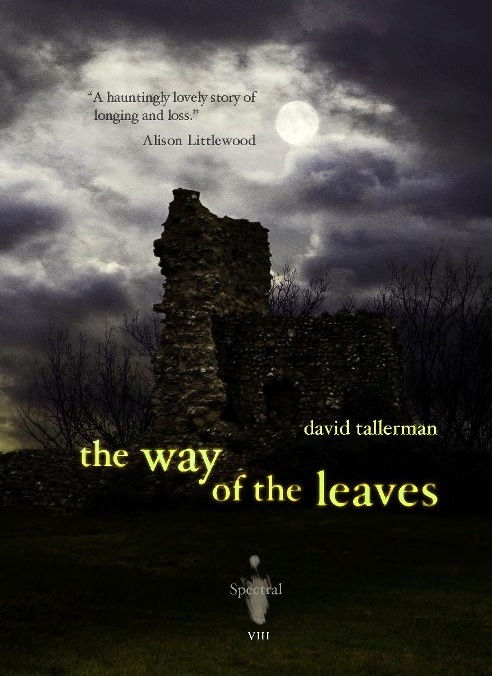 With a bitter, melancholic tone of the main character as guide there is plenty to be found in David Tallerman’s story to overcome the more familiar themes of the tale and keep the reader interested.